We are continuing to build relationships through the art of communication, appreciation and respect. Simply being and being in the moment, these things are showing the way back to the basics. When we say “relationships” at Sacred Rok we mean with all life – air, water, and land. This is the Law for the Real World. When we say “communion with our senses” we mean tuning in and remembering how to feel as well as think. Our experiences continue to help us better understand the word education and commit to the reality of Education Nature’s Way. We are happy to say with your help we have had many day trips the last spring and camping trips throughout the summer with all our regulars – Merced Probation, Merced Boys and Girls Club, and the Mariposa Middle School. The beauty of these outings is getting to know each other, learning how to work together or let’s say be together, enjoying Yosemite’s ceremony of nature. 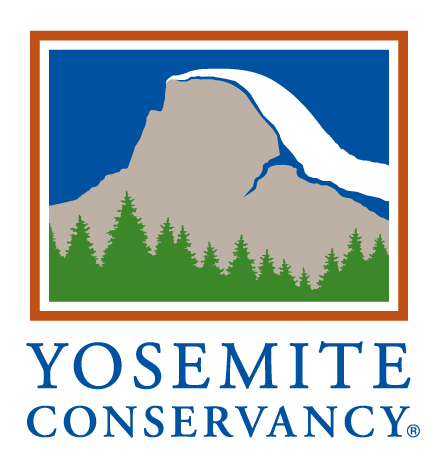 With the probation department we’ve taken our Yosemite outings into their classroom, working on a story sharing video from our pictures and video collection over the years. This has amazing potential to express the contrasting worlds of being incarcerated to standing under 1000 foot waterfalls with rainbows, fresh water springs, healthy food and stress free environments – as we experience the transformation of being free to be truly human. Our Spring day trips set up the opportunity to follow the trail to summer camp in Tuolumne Meadows 8000 feet up the mountain. In July we had our first camping trip of the summer with the Boys and Girls Club and soon after we hosted our second camping trip with the Mariposa Middle School. We had worked with all of these youth before throughout the last two years but for some this was their first camping trip. This is always a unique and important step not only for Sacred Rok but also for the youth and we do our best to host them in the most nurturing way. In early August we had a group of youth from Green Acres in Sebastopol who spent a few days with us. This is a new and budding relationship and we look forward to continuing our work with them. Our last trip of the summer season was with the Merced Probation – reinforcing our connections. All of our trips taught us something about ourselves and furthered our dedication to our vision at Sacred Rok. As of this summer, it’s been 4 years since we started Sacred Rok. The lessons we have learned in bringing the youth into nature are profound. The institutions and the social conditions that form the environment that these young people experience every day contrast to our experiences in Yosemite. We hope that the experiences of nature promote their human development. The trees that they smell, the wind that they feel, and the pools in the river that they dip in all become a permanent part of their cumulative life memories — a collection of their being. As well, we hope that our approach shows them that most of what we learn as humans comes from the inside. As adults, we are humble facilitators of the connection to the great teacher, nature. By learning from the inside, I mean that the young people appreciation of nature happens not because we “tell them” but because they resonate to what already exists in the human spirit. Sacred Rok is a facilitator of this connection. This lesson, something that I have learned over my many years from my teacher Yosemite when I was 14 – facilitated by the adults around me – is really what I want to share through Sacred Rok. And, over the past 4 years, I think that our opportunities– working with Merced foster care, Merced Probation, the Boys and Girls Club, the Planada youth, Native American youth, as well as some groups from outside this area – has reinforced this lesson. The youth who have participated with us, many of whom have come back repeatedly, have told me so, in so many ways. I deeply appreciate these experiences, which have, in turn, been my teacher. Where is the source of education, and what is the adult role in it? That’s really what it boils down to. My friend Kenji, who works in so many areas of formal education, tells me that that’s one of the basic debates that goes on in his world of schools in the K-12 world. Some things for sure need to be explicitly taught – for example, connecting the script to the sounds of a language is basic to learning to read any language. But many others things need to be constructed through facilitated experience – for example, finding the deep meaning of a poem requires discussion and reflection, and diving into the self – this is hard to teach through drills and worksheets and fill-in-the-bubble approaches. Students learn by connecting meaning to their self and their spirit, and connecting to the natural world. At Sacred Rok, nature provides our curriculum and our structure. Sunrise, sunset, wind and weather guide our activities. We follow the pace of nature, and this helps the kids to slow down and learn to breathe, walk, and listen to the water and the wind in the trees. This is not a one shot deal. These young people come back again and again, and over time we build our trust and strengthen our relationshipsthat are simply natural. So through our experiences over the past 4 years, I think we have established the value of respecting the youth to connect in their own way given the chance, the value of providing healthy food, the value of place, and the continuity of learning over time. It seems as though formal institutions try to acknowledge the importance of learning from the inside, but they struggle with recognizing it fully. What we have shown is that this can be done at a small scale, working to facilitate small groups of youth with some continuity. When we established Sacred Rok in 2009, we knew that we wanted to support young people with the ceremony of nature. We had a vision, but we did not have a specific plan. But we have mapped it out during the last 4 years, demonstrating the feasibility and power of our vision. So what is our next 5-year plan? Kenji and Nancy just spent two weeks at camp in Tuolumne and we had a good chance to reflect on our accomplishments and envision our future, surrounded by the signs of nature and reflecting on their meaning. Here is one reflection we had. There is a beautiful boulder which sits just across the river from my campsite. It got here having floated down the canyon carried on top of a glacier thousands of years ago, and was placed here as the glacier melted. The Tuolumne River is still flowing from the Lyell Glacier that receded but continues to provide the flow of this river, being watched by the boulder. This celebrates the art of nature. Through the help of great friends who have given us generous grants and individuals who have contributed by buying our books and photos, we have subsidized trips working with the Merced organizations who are working hard to support these youth. During the next 5 years, we plan to consolidate these successes further so that the organizations see this as a central part of their own mission, rather than as an add-on subsidized by outsiders. As we do this, we hope to use our gifts, grants and donations to work toward the establishment of a “place” for Sacred Rok. Having a specific piece of land owned by Sacred Rok and established as a center for learning is important because the “sense of place” is central to our work. We see the mountains from which the water for much of California emanates as an essential link for our youths to the land. Because we want all of our youth touched by Sacred Rok to have a sense of place grounded in nature, a place for them to come and stay to re-connect with the earth, is essential. We are thus seeking a modest piece of land where we can start growing organic food, staying for gatherings, building fires, and having the time to inspire. Such a place may be in the foothills on the western or eastern side of the Sierras. Finally, during the next 5 years, we are hoping to play more of a convening role for organizations that seek to help youth that share our philosophy. In our work with the various organizations in Merced, we have found like-minded souls within probation, youth organizations, Native American, and foster care organizations. We also have met many people in school systems throughout California who understand the barren agenda of school reform focused on narrow academic skills and neglecting the nurturing of the human spirit. We are contemplating the next 5 years as a period where we can develop leadership potential for people within these organizations, and to collaborate in the re-birth of humanity through partnerships with inspirational individuals who are in a position to transform their organizations. The land we hope to acquire will serve as a center where gatherings of these leaders can occur. As a child my great grandfather grew a garden that supplied food for the table and the many months ahead. Things that didn’t get eaten immediately were jarred, canned and frozen. Jams, salsas, stews and pickled items lined the shelves of the pantries of every member of our family. I remember the crisp cucumbers sprawled across the ground, the prickly merlitons and their weird smell, the stakes of snap peas, the canopy of grape leaves draped across the pecan trees in the back corner, and the hot house with it’s tomatoes and box of potatoes. The tomatoes were the best with their deep red flesh and the sweet water of the earth. I ate them like apples on occasion or my great grandmother would very gingerly peel and chop them and season with salt, pepper and vinegar. These became one of my favorite things to eat and I had a hard time understanding why many people would say they hated tomatoes. My great grandfather took pride in his plants and he kept a journal of his garden – what he planted, when he planted, what pests came, what nutrients were needed, when was the frost, when was the drought, home remedies and theories. As I grew up I started to garden myself and I called him or wrote to him often asking advice on what I had growing. My gardens prospered and my tomatoes and peppers were almost as sweet as his. In the south of Louisiana, especially with a hot house, one can grow tomatoes for most of the year but there are those few months in winter and early spring when this just isn’t possible. Yet, in the stores there would always be tomatoes – their skin an odd, speckled orange red color, their feel a little too firm, and their flesh leaving something to be desired. These were not tomatoes, these were an insult to my paw-paws vine-ripe beauties. They hardly seemed edible yet they were everywhere – in the schools, in restaurants, in the markets, cafeterias, etc. I started to understand why people said they didn’t like tomatoes – if these mushy, tasteless things were what they were eating then there was absolutely no reason to like them.These impostors were/are the result of large scale farming – otherwise known as industrialized farming. Industrialized farming has done it’s job at supplying “food” for the masses and it’s also done it’s job at homogenizing, monoculturing and taking then richness out of the food. In response to this a great food movement is occurring – hardworking people are pouring their spirits into small scale, organic farming. What comes out of it are fruits and vegetables and meats so rich and full of life that I recall my great grandfather out in his garden with his soil stained hands and his bucket of fresh food. This is the food that I love and this is the food that Sacred Rok supports. We want the youth and adults we work with to understand this difference and to be nurtured by this food. This is why we largely support local, organic farming practices and try to buy most, if not all of our food from these types of people and places. We are fortunate to have great people like Brenda Ostrum and Mountain Meadow Farms, TD Wiley Farms, the High Country Health Food store in Mariposa, the Sierra Sundance Whole Foods in Mammoth, the Mono Market in Lee Vining and the Manor Market in Bishop – all of these people and places work with local, organic farmers to provide some of the best goods available. In honor of my great grandparents and for the benefit of all Scared Rok will continue it’s vision of creating healthy meals with healthy food.